I've actually been very, very fortunate to have already met some authors whose books I admire, like Stephenie Meyer, Sarah J. Maas, Stephanie Perkins, Sarah Dessen, and Robin LaFevers. (Thank you, thank you, thank you to all authors and publishers who make tour stops in Seattle.) But even though I've already met so many, I've also read or want to read a lot of books--and with those books come a plethora of creators I want to meet in person. I am most assuredly missing about a million people, but here are ten authors who I would very much like to meet and embarrass myself in front of. is my number one, the author at the tippy top of this list. I desperately need her to do a signing in the Seattle area in the very foreseeable future. I actually had the chance to meet her once like six or so years ago, but that's when I was still new to driving and driving in the big cities (which made me uncomfortable) and got lost along the way to the signing. (I remember Kelley Armstrong and Melissa Marr were there too, among others--Smart Chicks Kick It tour?) 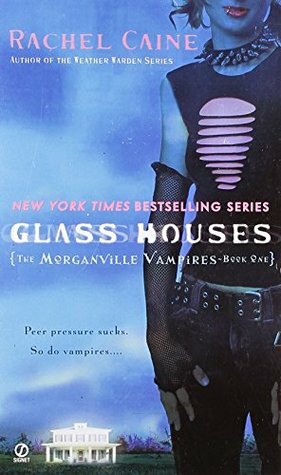 I just love love love Rachel's Morganville Vampires series so, so much, and if she ever comes here I hope she comes prepared: I have over thirty books with her name on them. 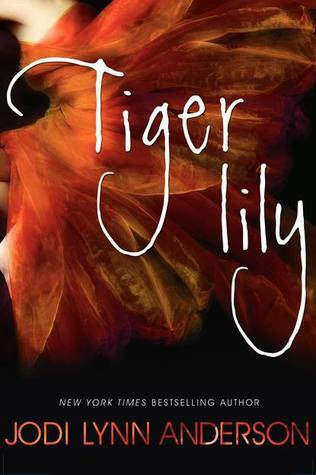 is the creator of Tiger Lily, so of course I must meet her. It's her fault--and her book's--that I am now complete and utter trash for all things Peter Pan. Also, Tiger Lily took my heart, threw it on the ground, and smashed it into a million pieces while simultaneously keeping it beat beat beating in place. RUDE. I need to tell her how the masochist in me enjoyed every page of it. is the author of The Water and the Wild, The Doorway and the Deep, some YA, and, most importantly, she created the one and only Fife Dulcet. (#FifeandtheNortherliesFTMFW.) I adore Fife--like, adore him--even though he's, like, twelve or something. But he's basically Peter Pan reincarnated and you guys. Kathyrn's also one of those authors who I feel like I'm internet friends with, if that makes any sense? And if she ever came here for a signing I'd get her to spill all her secrets about the upcoming Water and the Wild book(s) and every single thing that will happen to my precious Fife, so it's a win. is yet another internet friend, and we are, like, kindred spirits because we both love books and animals! In fact, correct me if I'm wrong, but I believe Jess is/was a zookeeper, which, aside from being an author and super secret spy agent, is my dream job. She also wrote the most adorkable series ever, My Life Is a Zoo, which featured such a real and perfectly imperfect protagonist, a ship, animal facts, and a zoo setting. Honestly if she ever has a signing in Seattle she should just have it at the zoo. is the coach of my cheerleading squad/fan-club, which I am co-captain of with Stacee. Aaand she's also one of my friends and she needs to come to Seattle already. I first "met" Ashley when I stayed up way too late devouring her debut The Rules for Disappearing and fangirled to her about it. Since then I've fallen for all of her books and the thrills, suspense, and swoons she brings, and now all I want is to meet her in person and also for her to give me her next book so I can read it. is a very new-to-me author, but thanks to her book--which I only read last December--she's a high priority on my to-meet list. (Although why she'd vacation in Seattle when she lives in Australia is beyond me.) 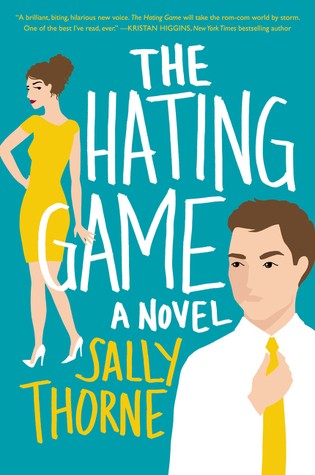 You see, Sally wrote The Hating Game, which was my second most favorite book of 2016 and which I love. It was perfection. Like, OH MY GOSH. And that's what I'd say to her too, if I ever met her: "OH MY GOSH." Because that book. was. everything. 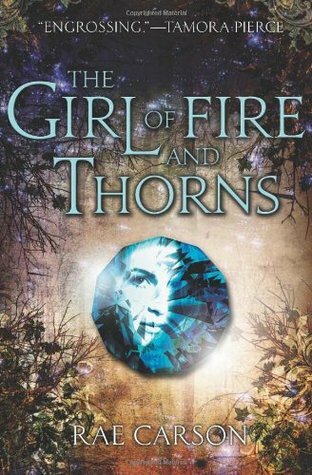 is not the sort of author whose books I would recommend if you're trying to avoid getting high, because I promise you that you will get high off her books--or her Fire and Thorns trilogy at least, especially if you read them back to back to back. (I certainly got high off them.) The way she writes fantasy is so simple and sophisticated, and she takes time to build the story without shoving it in your face. (Though whether or not I'd actually complain if her books were shoved in my face is a completely different story.) Most importantly, she created HECTOOOOORRR. Need I say more? is an author I've only read book from but who I greatly admire. She knows how to write and tell a story and also kill her readers. So maybe meeting her in person isn't actually the greatest idea. But seriously, Code Name Verity. THAT, my friends, is a book. Or a brick. Depends on which one hits you harder. But I really do have to meet Elizabeth, for I have to give my bill for all the emotional turmoil this book caused me to someone. has written approximately a million books, and I've only read like four of them. The thing about Kelley is that she does certain things very successfully. In The Masked Truth she wrote a thriller that was exactly what a thriller should be and she never held back. With the Darkest Powers trilogy she created a story I've decided to reread every year. It's fun and it's paranormal, but it's what's between Chloe and Derek--my GOSH--that just hits me with the feels so hard and I love it. I mean, DEREK. It's imperative that I meet Kelley so I can demand she write more Chloe and Derek and never, ever stop. is someone who I keep waiting to hear about a tour stop from and still haven't got one. I thought I loved Eleanor & Park, but then I read Fangirl and, like so many others, found so much relatability between myself and Cath. So I want to meet Rainbow because, yes, I'm a big fan of her books (or at least what I've read). But also because one of her books meant something to me, and there's something about meeting the creator behind something that you find so precious. Oh my gosh. I forgot Huntley Fitzpatrick! And Susan Ee! And Katie Cotugno! DAMN IT. Ahhhhhh. Can't there just be a giant book festival with all the authors ever in one place? That'd be lovely. 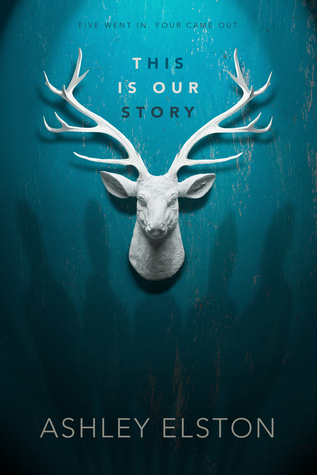 Whose the number one author you most want to meet? 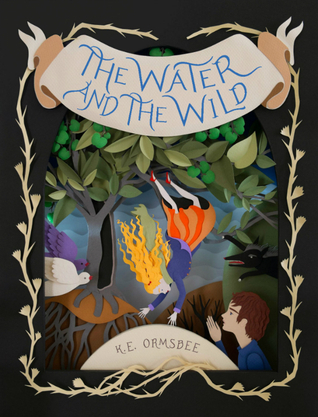 The Water and the Wild was SUCH an amazing book. 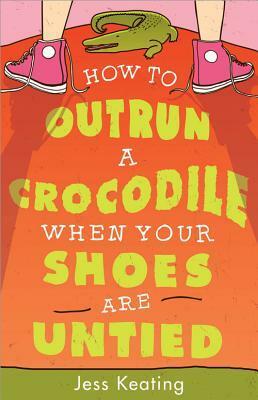 It's hard to believe it's middle grade with that writing! I can't wait for her YA this June, Tash Hearts Tolstoy! Have you met Sarah Ockler?? She lives in Washington state I believe. Anyway, I definitely need to meet her someday. But she doesn't seem to do a lot of East coast events :( I met Elizabeth Wein and she's so NICE!! SO very nice!! I'd love to meet Rae Carson one day too! Great list! The only one I know is RR, and I have to say that I'm surprised I haven't met her. I love your list! I would love to meet Rae Carson, Rainbow Rowell, and Elizabeth Wein! I was lucky enough to meet Rachel Caine and Kelley Armstrong. They were great! Great list! I adored the Morganville Vampire books - Rachel Caine would be fun to meet! I'd love to meet Elizabeth Wein, I adored Code Name Verity! 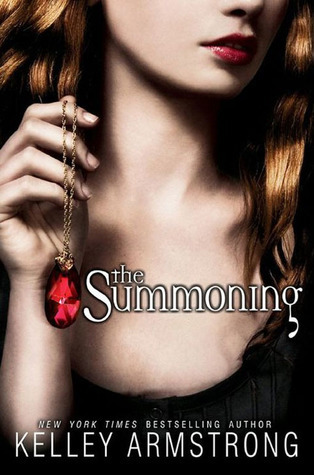 Kelley Armstrong is one of my favorite authors. Her Women of the Underworld series has a special place on my bookshelf. There are lots of authors on your list I would love to meet! 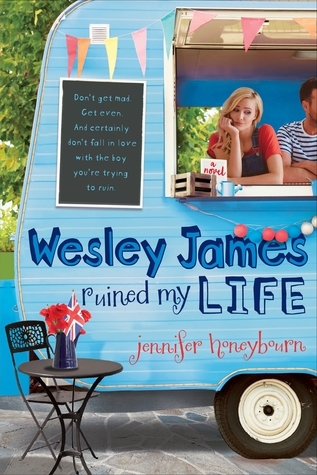 Ashley Elston is definitely one of them (I totally forgot she wrote The Rules for Disappearing, which I loved and somehow missed the sequel to it- so off to track it down!). 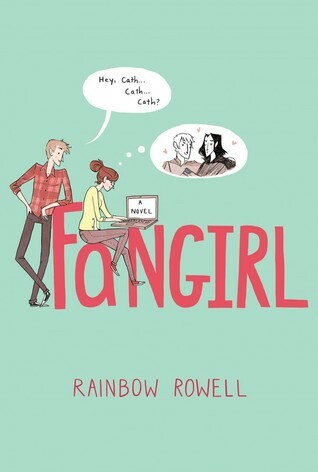 I've been around Rainbow Rowell, but haven't actually met her- someday though!